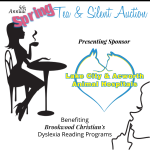 Tickets to our 5th Annual Ladies Spring Tea & Silent Auction are on sale now! For the first time it will not be at the Beach House, but rather our new Auditorium AND the Men Folk are welcome! Advance tickets are $25 and you can be purchased HERE. 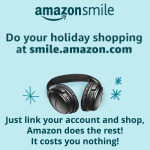 Click HERE for more details and auction items. Brookwood Christian is a private, non-profit school that serves students who have not been successful in public or private schools due to their unique learning needs. Many of our students are diagnosed with a language based learning disability such as dyslexia. Students typically have an average to above average IQ accompanied with various individual or multiple learning disorders. Our curriculum is specialized and tailored to compensate for or overcome these learning disorders. It is one of the few schools serving dyslexic students in the metro Atlanta area. Our class sizes are 7 or less, which allows for customized instruction for each student.We are a full time school offering all subjects. All curriculum and methods are research based. Wilson Reading and Fast ForWord programs are used for students with Dyslexia. We offer College Prep and Tech Prep programs. Founded in 2004, the current campus was established in 2008 by current Principal/Director, Kim Wigington, in order to better serve her two daughters’ reading comprehension concerns, one with dyslexia and the other an English language learner, adopted from Latvia. We have recently added a new building so that we can better serve more students. We are extremely proud of the achievement of our students, and wanted to be able to help more students in need of the same services. Is your child struggling in school? Is there a reading or comprehension problem that is not being addressed? We are now accepting applications for the 2019-2020 school year. Call: 678-401-5855 or email us for information. 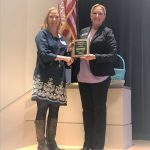 Principal Kim Wigington was awarded the 2018 Leadership in Literacy Award by the International Dyslexia Association, Georgia Branch (IDA-GA) on Saturday, March 24 at IDA-GA’s Dimensions of Dyslexia Conference to be held at Georgia Tech Research Institute in Atlanta. This award recognizes a school administrator who has shown leadership in developing literacy in his/her school or school system within the state of Georgia.